A couple weekends ago, my man and his buddies flew out west for a Vegas trip. With the men away, I decided that a ladies night was an order! I gravitate towards doing and learning things, so my ideal ladies night would probably include taking some art, fitness, or cooking class. Learning when you’re surrounded by some of your favorites is definitely a plus, am I right? But let’s get real. Sometimes, I just don’t feel the desire to drag myself out in the winter months when it’s cold, wet, snowy, and downright uninviting (**knock on wood for the great December weather so far! **) outside. Have you heard the phrase or some derivation of: Got a problem? There’s an app for that! Well in all seriousness, there’s a real-life solution for just this! 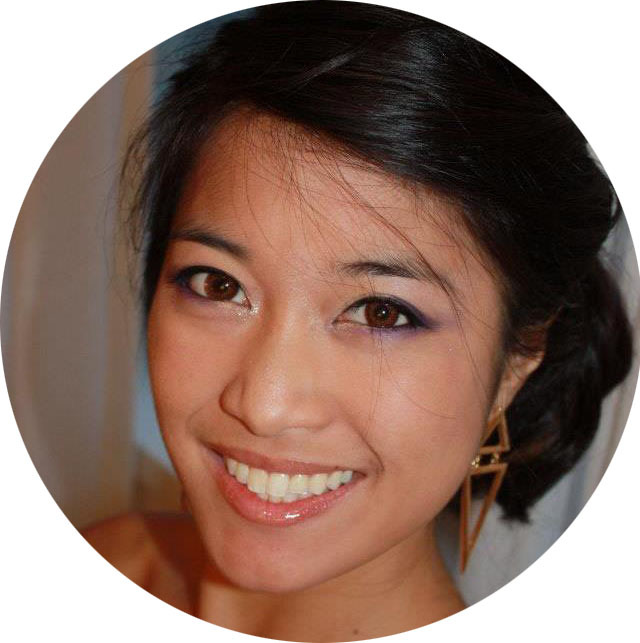 I don’t want to leave the comfort of my lovely, heated apartment but still want to have the experience of a fun and interactive class with friends by my side? 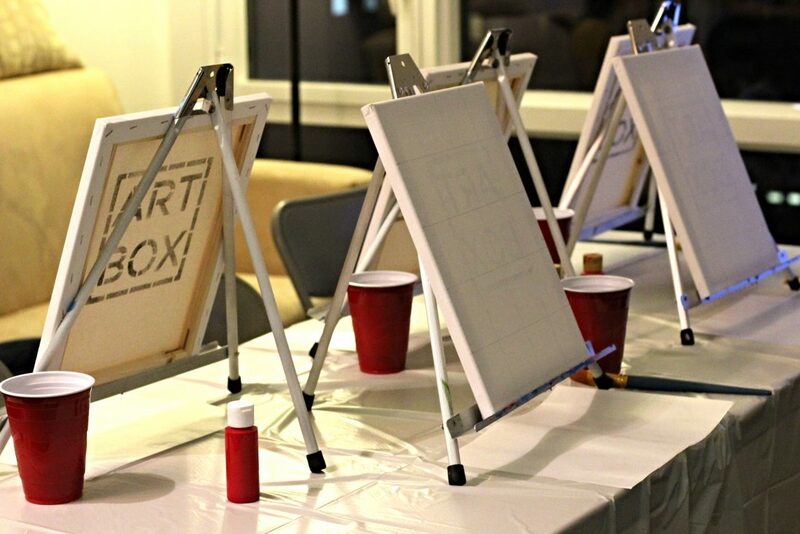 There’s ART BOX for that! 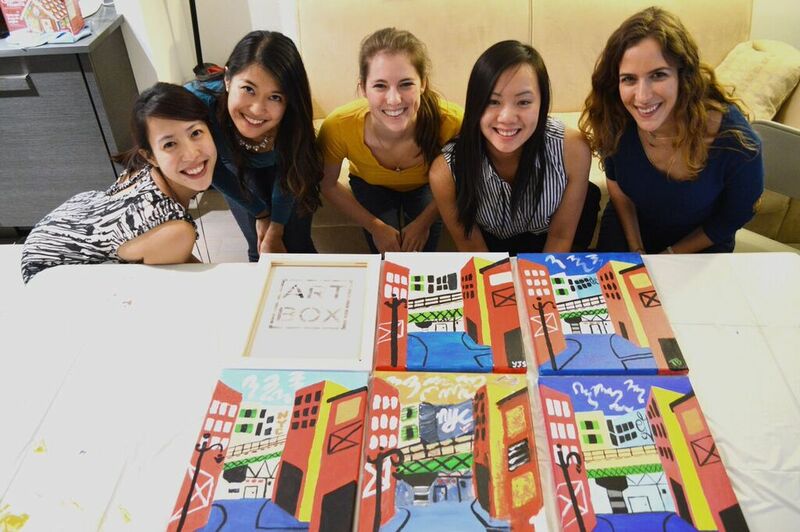 ART BOX (a 6-month old start-up based in NYC) brings the experience of a painting class—complete with an instructor, art supplies, and even prep-and-take down—straight to your door. The full experience right at home! 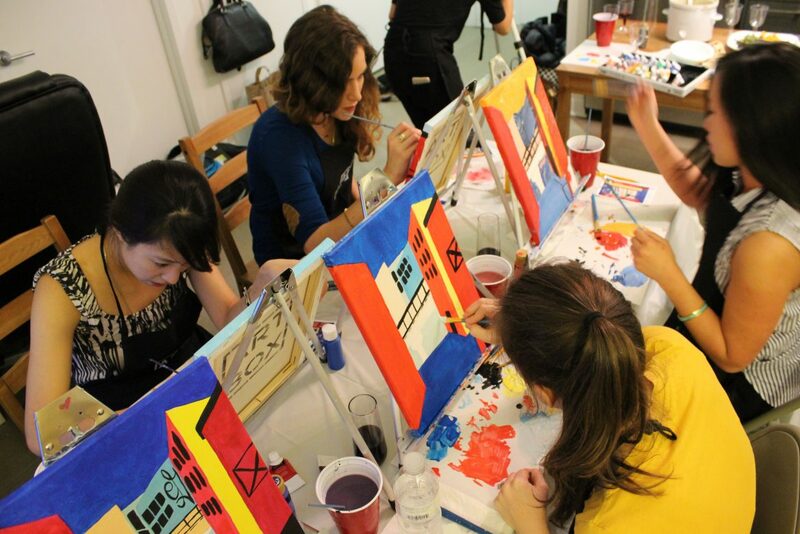 My friends and I, being the inexperienced painters we are, were so fortunate to have Shirley guide us step-by-step through the process of creating our eventual abstract masterpieces! 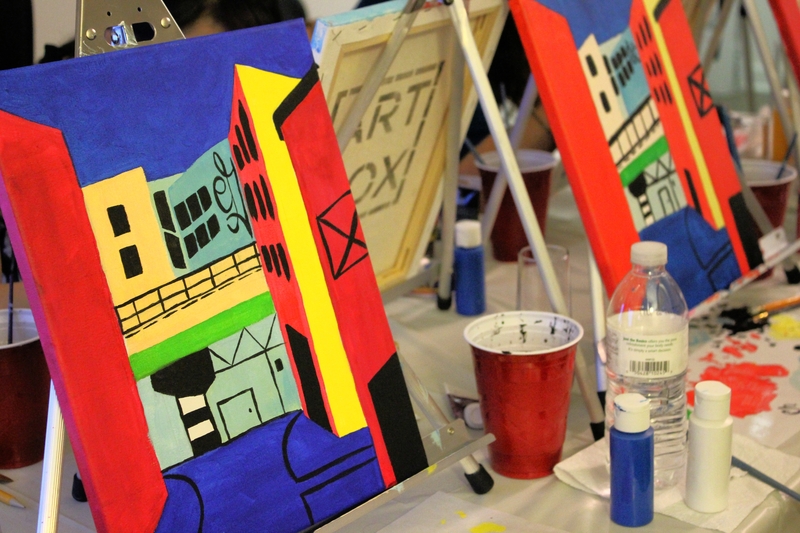 We used an incomplete version of Stuart Davis’ New York Elevated as inspiration for our canvases. 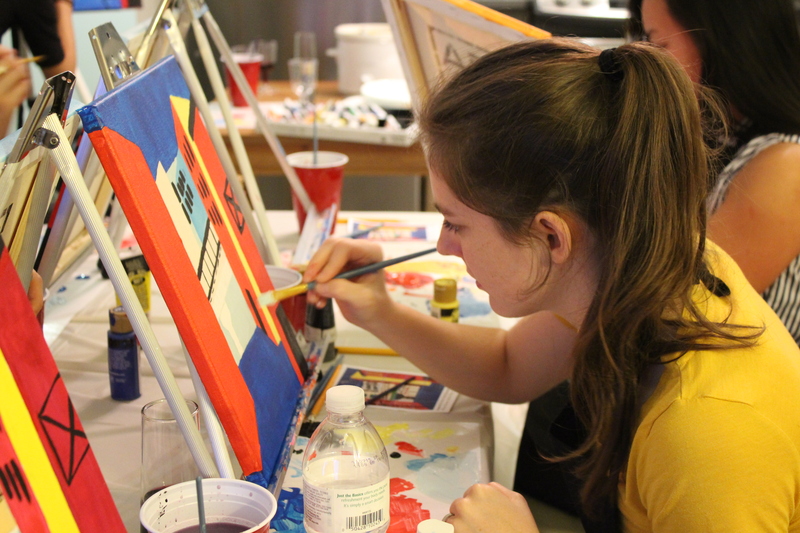 Throughout the night, Shirley provided painting tips, pointers, and fun facts while allowing us to explore and apply creative license! Pro tip: paint the edges of your canvas for a wrap-around seamless look when it hangs on your wall! 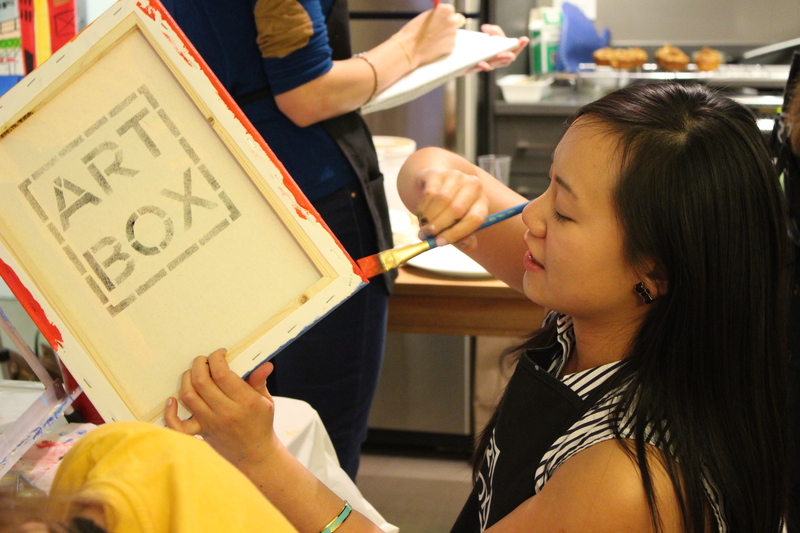 Pro tip: use a thin brush with minimal paint to sign or initial the painting! The finished products! Can you match painter to painting? Last things to note. 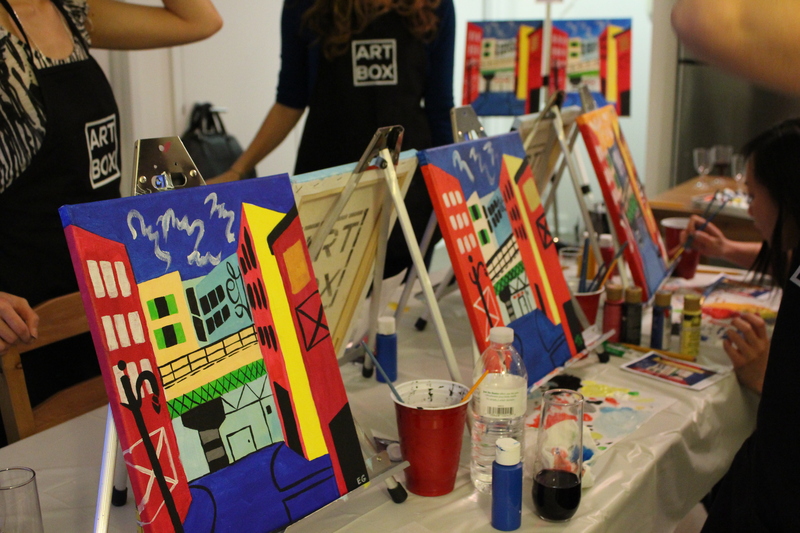 While ART BOX takes care of all the painting logistics and supplies (they even brought aprons for all of us to wear! ), the host takes care of food and drink. This worked perfectly as it gave me an excuse to try out some new recipes! Think of it as an opportunity to play bartender and chef for your friends, or turn it into a little potluck! Shout out and big thanks to Shirley and Kevin for making sure my guests and I all had a great time! And to everyone, welcome to December—month of ginger, peppermint, chocolate, cookies, gift-giving, decorating… many things to look forward to! 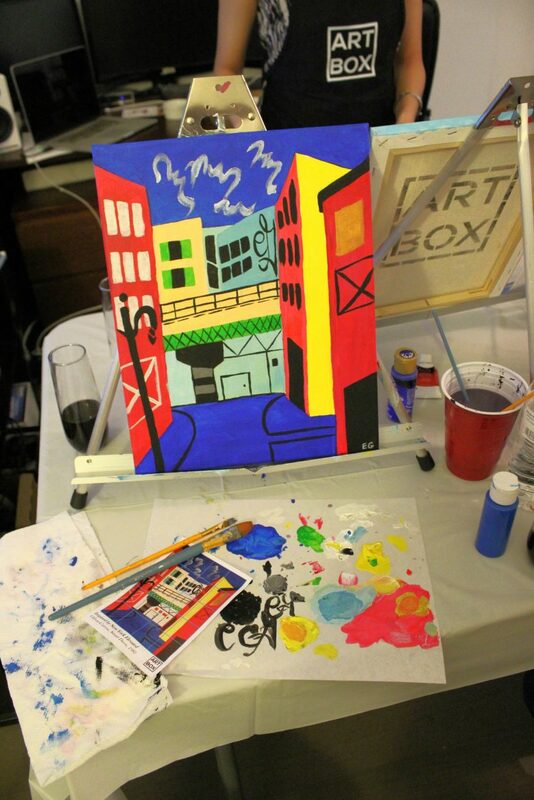 Find ART BOX on Facebook and Instagram!